As 200 guests looked on, the founders of the independent Walsh Whiskey Distillery, Bernard & Rosemary Walsh, yesterday turned the sod at Royal Oak, County Carlow in Ireland as construction commenced on their €25million craft Irish whiskey distillery by the banks of the River Barrow. Located on an 18th century estate comprising 40 acres of pastoral land, the distillery will be the largest independent whiskey distillery in Ireland. Its two production lines, using both pot stills and column stills, will give Walsh Whiskey the capacity to produce 6 million bottles of whiskey annually. Walsh Whiskey will produce all three types of Irish whiskey in one still house; pot, malt and grain. The ceremony was also attended by 12 of Walsh Whiskey’s international distribution partners from Britain, Canada, Denmark, Finland, France, Germany, Italy, Norway, Russia, Sweden, Switzerland & The United States. 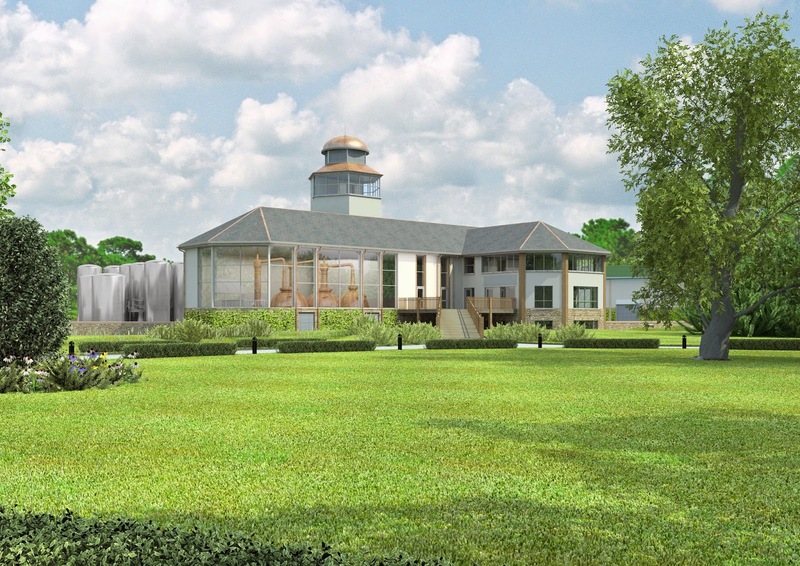 The development will also include two maturation houses with capacity for 60,000 barrels and a visitor experience, incorporating the 18th century Holloden House, which will cater for 75,000 whiskey tourists by 2021. Once commissioned, in early 2016, the distillery will produce Walsh Whiskey’s critically acclaimed, award winning, ultra-premium Irish whiskey brands – The Irishman and Writerṣ Tears. The distillery will be unique as the only distillery in Ireland to produce all three types of Irish whiskey in one still house; pot, malt and grain.